AFTER years of relegation, Nigeria handball game seems to be coming back to live as Handball Federation of Nigeria (HFN) is set for this year’s premier league. The league, which is expected to hold between 13th-24th April 2016 at Murtala Square, Kaduna, is however faced critisms within and without board. Recall that in 2009, the game of handball in Nigeria developed into premier league which is the highest championship of every sport in the country with maiden game played in Kaduna in 2010. 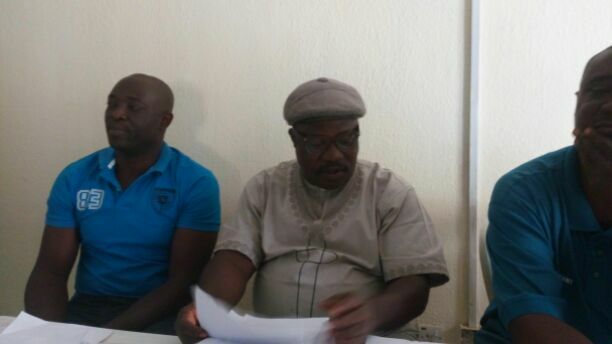 Addressing sports journalists in Kaduna shortly after a stakeholders meeting, President, Nigeria Handball Coach Association, John Jatau suggested that only premier league clubs and additional two clubs should be considered for the competition due to their performance in recent championship. According to him, the league is having a sponsor after years of trial, hence the need to do all the necessary things to attract more sponsors thereby enhancing its continuity after the league. He also clarified that the federation remained the only body recognised in Nigeria to organise a competition while the sponsor(s) can only come in through HFN. Jatau used the opportunity to call on the HFN President, Yusuf Dauda, to follow the truth, adding that major stakeholders are behind him in his programmes geared towards the development of handball in Nigeria. He however called on all board members to rally supports for the current leadership of the federation to ensure the success and continuity of the competition. In a remark, First Deputy Chief of Nigeria Handball Referees’ Association, Tobi Oghenekaro Peter, was happy that the game is having a sponsor this year, saying “it is a good thing that after the exit of Malta Guiness, we now have a sponsor. So now that we have one, we need to come together to making sure it works so that we can continue from there.